View and download the book HERE. Over the past 30 years, multidrug resistant enterococci have emerged as leading causes of hospital acquired infection. With the acquisition of resistance to vancomycin in the mid 1980’s many of these infections became extremely difficult to treat. To address this problem, researchers with an interest in various aspects of enterococcal biology have come together to consolidate much of what is known about this genus into a single text. 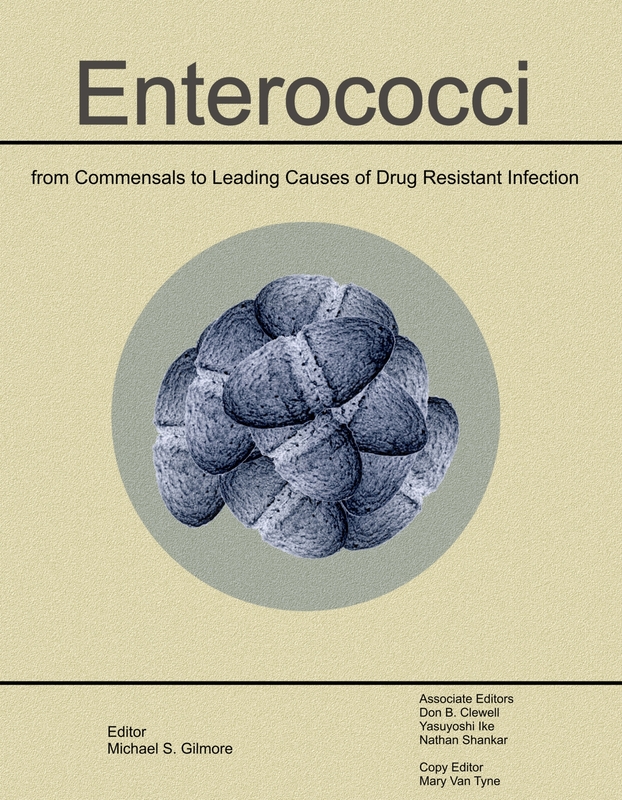 Enterococci: From commensals to leading causes of drug resistant infection provides state-of-the-art summaries of what is known about 1) Their origins, distribution in nature and gut colonization, 2) Infection – history, incidence, and pathology, 3) Enterococci as indicators of contamination and in public policy, 4) Infection treatment and antibiotic resistance, 5) Pathogenesis and models of enterococcal infection, 6) Comparative enterococcal genomics, 7) Nature, maintenance and transmission of extrachromosomal elements, 8) Enterococcal phage and genome defense, 9) Transcriptional and post transcriptional control of enterococcal gene regulation, 10) Enterococcal cell wall components and structures, 11) Enterococcal biofilm structure and role in colonization and disease, 12) Metabolic and physiologic traits that contribute to the special biology of enterococci, and 13) Enterococcal bacteriocins and other bacterial factors that contribute to niche control.